From Athens we take the ferry to the island of Kos and then on to Bodrum, Turkey. 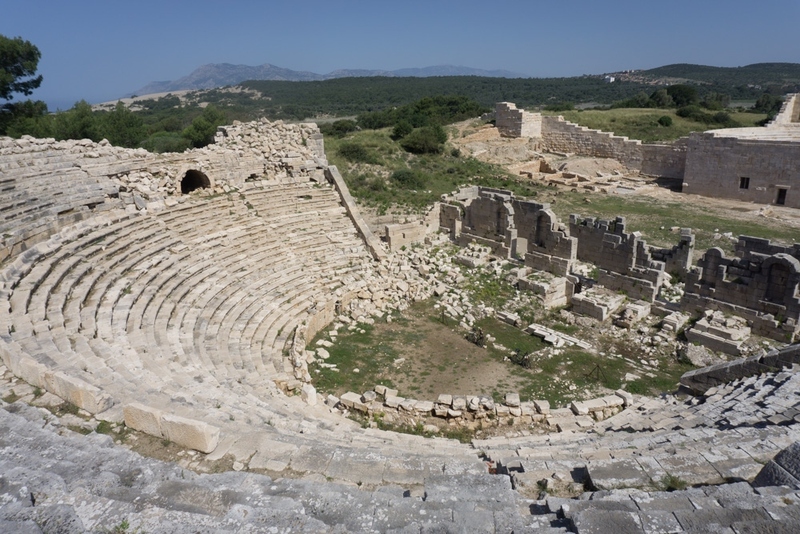 Bodrum is a touristic city and we decide to not visit the city. Arriving in Bodrum we contact Hüseyin, the host we found through Interrail Turkiye. Unfortunately it turns out that he lives about 25 km away, and also in the wrong direction.. Meanwhile it’s getting dark and we decide to cycle out of town as soon as possible. After a few kilometers we see a friendly-looking house with a piece of grassland. We ask if we can put the tent on their land. ”Of course, no problem!” The next morning, when we get out of the tent, the woman brings us a tray with tea, bread and olives. When we have packed the tent and all our stuff, we are also invited to come and drink their real Turkish coffee. A good start of our first day in Turkey! 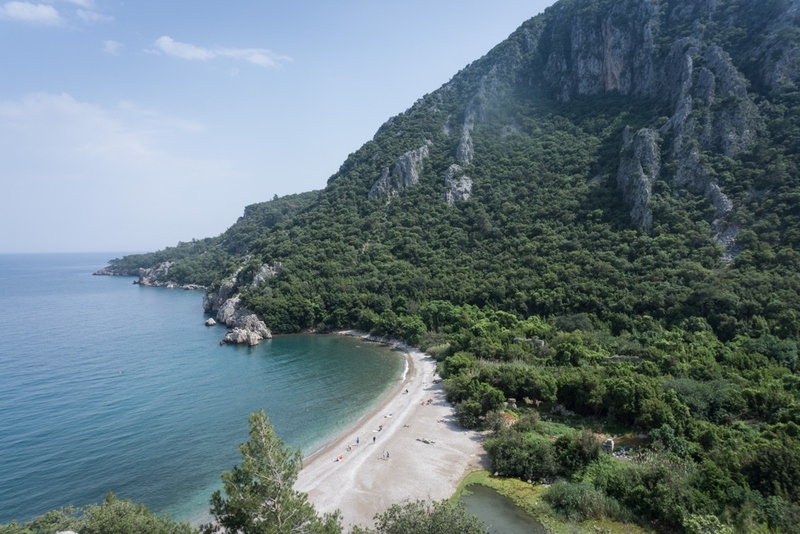 The first days we cycle along the coast, Patara and Olympos being the highlights. There are still many ruins of the Roman Empire. The best thing is that there are not many tourists, in most places we were even alone. However it’s a lot of hard work, because the coastline is very mountainous. 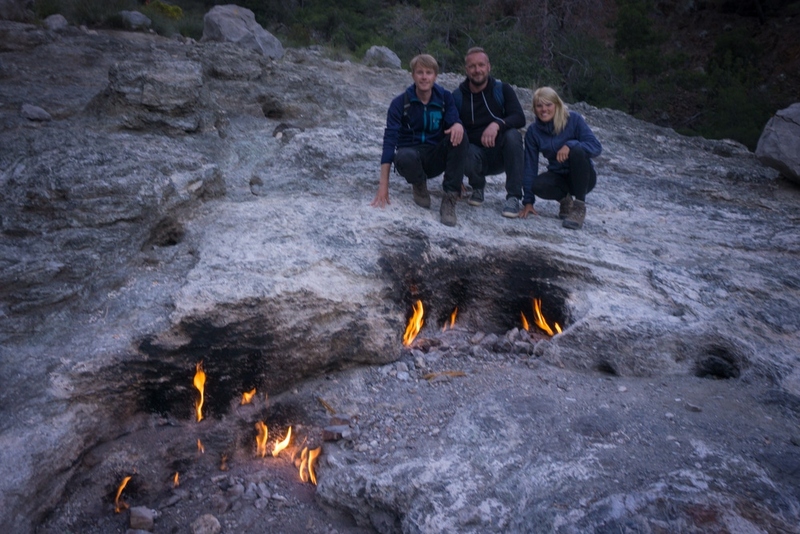 In Olympos, Jos (Robert’s brother) comes to visit us and we have a great time together. From Antalya we hitchhike in two days, via Lake Beyşehir, to Nevşehir so we can visit Cappadocia. 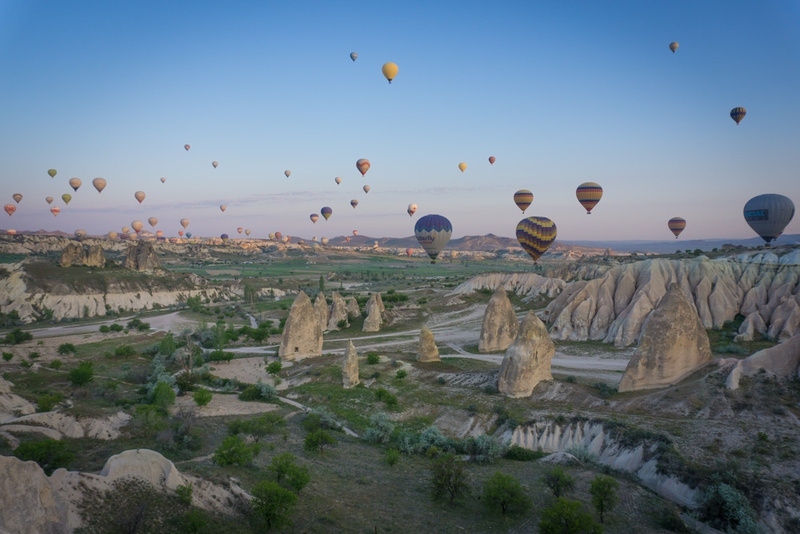 Cappadocia turns out to be super touristy, but well worth it. Every morning we watch how the hundreds of balloons take off over the amazing landscape. 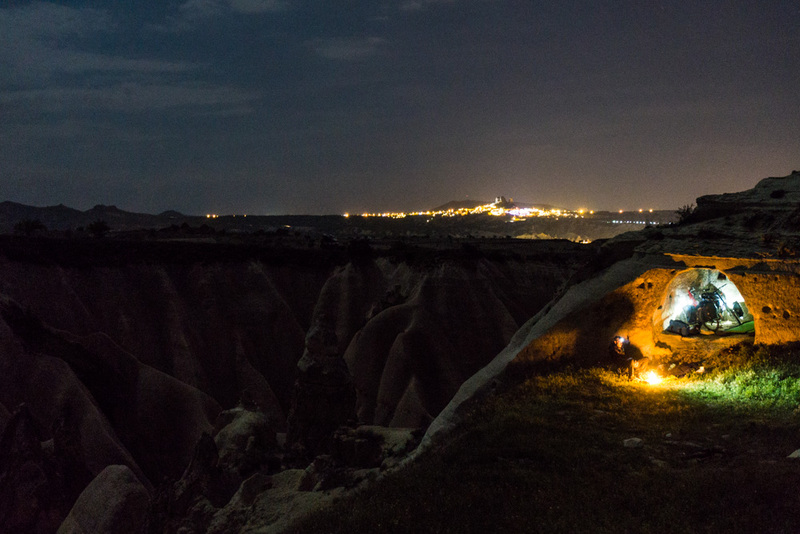 One night we sleep in a cave, very quiet and incredible to wake up in this place. 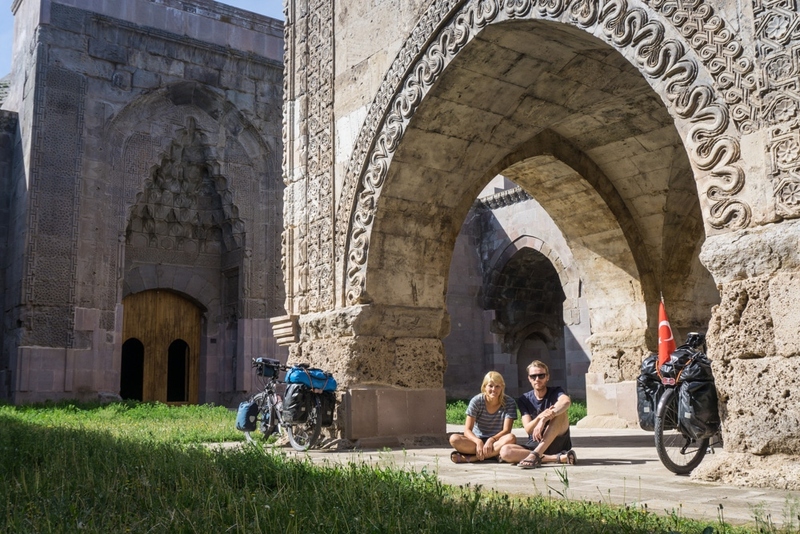 After Cappadocia we cycle further towards Kayseri and Sivas. On the way we arrive in a village where many Turks live who used to work in Germany. We are invited to stay for the night and we eat together. The whole afternoon and evening we talk (in German) and we drink tea together. They advise us to visit the caravanserai nearby, an ancient guest house for caravans, which are common to see in Central Asia, but also Turkey, the Middle East, North Africa and the Balkans. After visiting the caravanserai we continue hitchhiking to the East. Thirty kilometers before Erzincan we decide to cycle again, because we would like to see some more of the Eastern provinces. In two weeks we cycle to the border with Georgia. 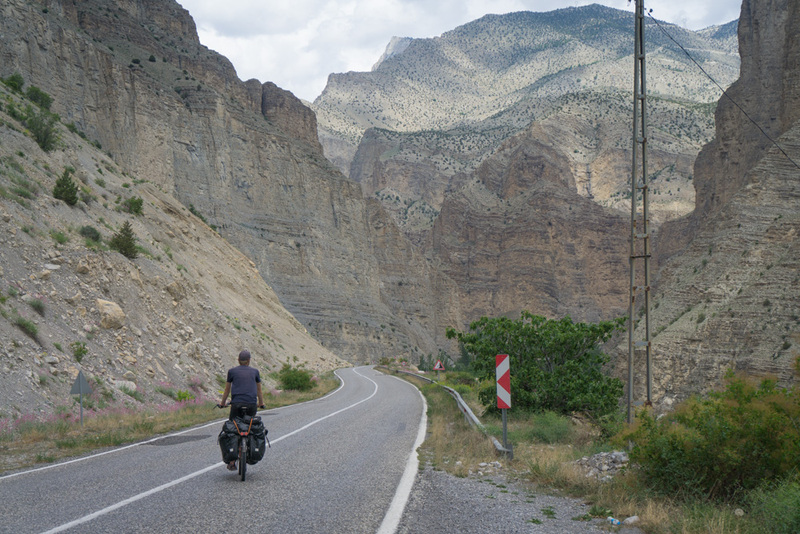 Especially the road from Erzurum to Artvin and from there to Ardahan, was spectacular! Before coming to Turkey we decided that we wanted to hitchhike on some (less beautiful) parts, to cross this big country a bit faster. When we cycled along the coast for a week, we looked at the map again and we see that we have only traveled a little bit of the country. We decide to start with hitchhiking right away. In Antalya we cycle out of town to a good exit. When I put my bike against something, Lynn has already raised her thumb. And a big truck stops immediately! That’s how easy it is. If a truck has place, it will take you. Even in the most remote places, with little traffic, it’s only a short wait. Often we sit nicely in the front of the big truck. I sit on the co-driver’s seat and Lynn on the driver’s bed. We have the greatest fun with the drivers and they like to take us. They (video) call with family or other truckers to show us, or they take a picture of us and post it on Instagram or Facebook. On the way we often stop to drink tea, or the driver stops for a while and comes back with some snacks for on the way. However, hitchhiking is not for cyclists who are really careful with their bicycles.. Our bicycles have been on top of stuff and sometimes slide in the back of the trucks. Usually we leave all the bags on the bike and we lift the whole bike in one go into the truck, so they (hopefully) don’t slide too much. Every day we are amazed by the incredibly friendly Turks. It makes traveling easy for us and we feel welcome everywhere. If we suddenly end up with a downpour, a car stops and we can take shelter. If the WiFi in the restaurant does not work, we get a hotspot from a guest in the restaurant. Along the way we are invited several times a day for tea or something to eat. We take all invitations with pleasure. We drink tea with students, construction workers, road workers, the police, the army and truckers. With a few words of Turkish, hands and feet, and our translate app we can have a reasonable conversation. Turks are not shy and very interested, that is why it is always fun. After some selfies and giving them our thank you card we leave again. We arrive at the waterfall (Girlevik Şelalesi), it’s crowded and everyone is picnicking. We decide to join in. We set up our chairs, unroll the picnic blanket and start cutting the vegetables for a pasta. After dinner we want to set up the tent in a quieter place. Unfortunately, we cannot cook because our stove seems broken. We take our MSR repair kit and carry out all instructions three times, but no success.. Meanwhile it’s getting dark and we are the only guests at the waterfall. A little further there is a restaurant. We decide to ask if we can cook our pasta there. A little later we are cooking our pasta in the outdoor kitchen of the restaurant with a glass of tea. The staff of the restaurant comes to talk and they set up a table for us with bread, salad and water, where we can eat our pasta. When we finished eating, we drink some tea and coffee with the staff. They ask where we are going to sleep and we tell them that we put our tent somewhere in the forest. ”No, no, it is not safe here. You can put the tent on the covered terrace.” When they leave in the evening they light the wood-burning stove under the roof. The next morning we hang around for a bit, repair our stove and we were also invited by the management for a breakfast in the restaurant! 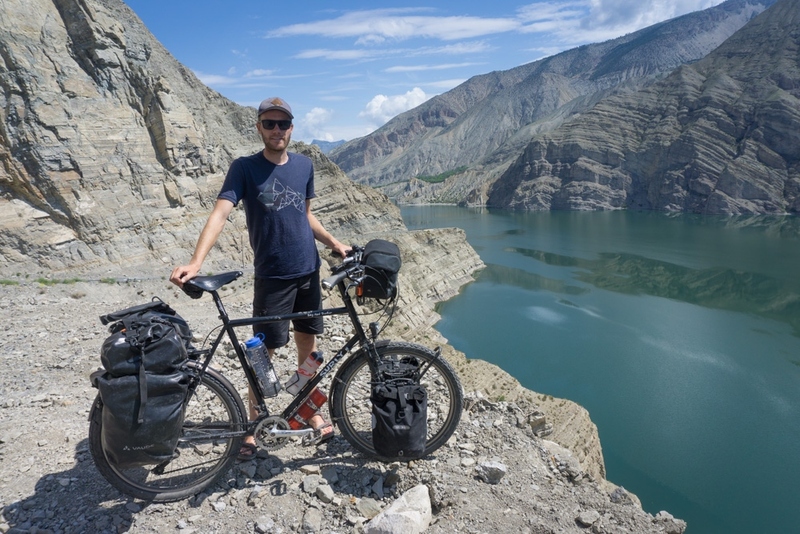 We have been in Turkey for 27 days and we cycled through the country for about 1,500 km. A large and vast country with very good roads. All main roads are four lane, with a large shoulder to cycle on, and there is little traffic. The smaller roads are also asphalted. The landscapes are varied. 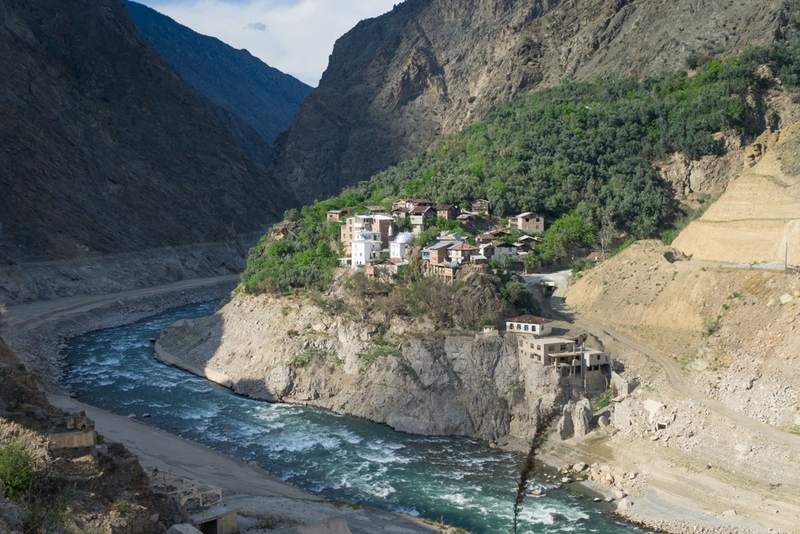 Waterfalls, a beautiful coastline, historic buildings, a vast plateau, lots of cattle breeding and huge mountains. The food is also very good. Breakfast often consists of olives, bread, fried egg, fresh tomatoes and cucumber. Dinner is seasoned and often consists of rice with beans, eggplants or a Turkish pizza (Pide or Lahmacun). But the real highlight is the hospitality of the Turks. 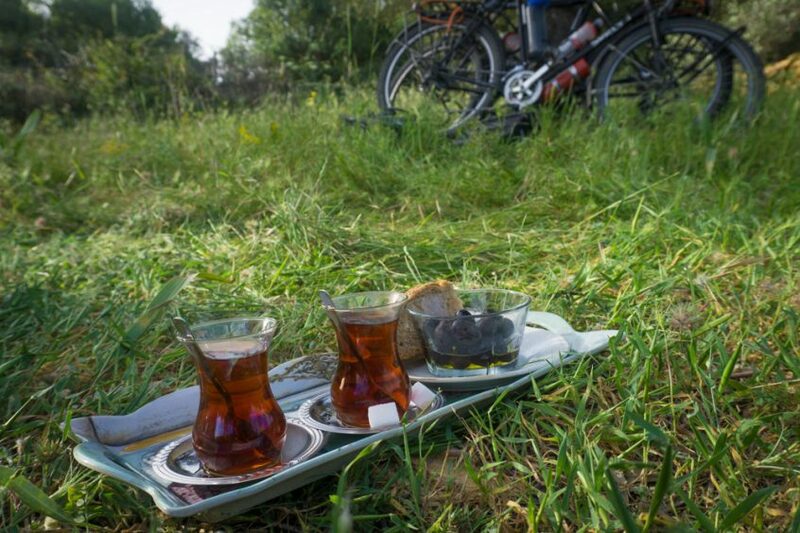 For us a perfect cycling country, Teşekkürler (thanks) Turkey! 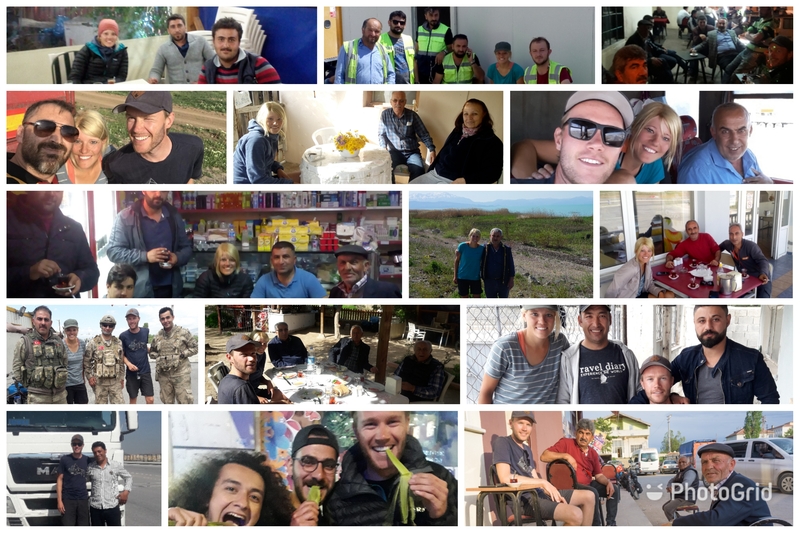 If you would like to see some more pictures of our trip through Turkey, click here.